Now, Gu's team is combining silicon with a material with more favorable properties, the 2-D material graphene. 2-D materials get their name because they are just a single layer of atoms. Compared to silicon, graphene has better carrier mobility and direct bandgap and allows for faster electron transmission and better electrical and optical properties. By combining silicon with graphene, scientists may be able to continue utilize technologies that are already used with silicon devices—they would just work faster with the silicon-graphene combination. "Looking at the materials properties, can we do more than what we're working with? That's what we want to figure out," said doctoral student Thomas Kananen. To combine silicon with graphene, the team used a method they developed and described in a paper published in 2018 in npj 2-D Materials and Application. The team placed the graphene in a special place known as the p-i-n junction, an interface between the materials. By placing the graphene at the p-i-n junction, the team optimized the structure in a way that improves the responsivity and speed of the device. This method is robust and could be easily applied by other researchers. This process takes place on a 12-inch wafer of thin material and utilizes components that are smaller than a millimeter each. Some components were made at a commercial foundry. 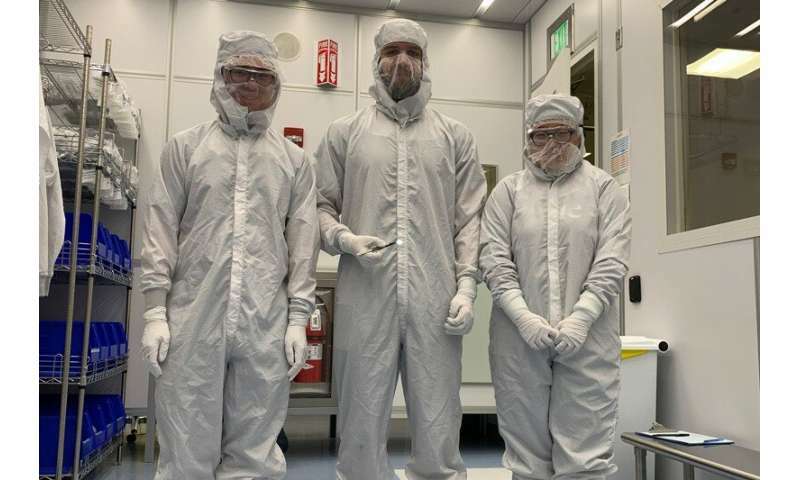 Other work took place in UD's Nanofabrication Facility, of which Matt Doty, associate professor of materials science and engineering, is the director. 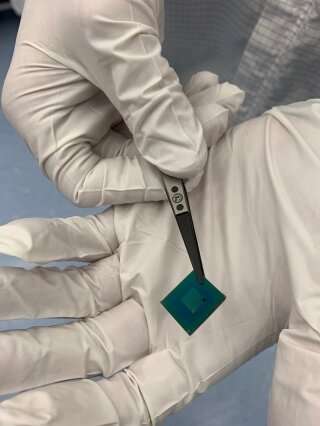 "The UD Nanofabrication Facility (UDNF) is a staff-supported facility that enables users to fabricate devices on length scales as small as 7 nm, which is approximately 10,000 times smaller than the diameter of a human hair," said Doty. "The UDNF, which opened in 2016, has enabled new research directions in fields ranging from optoelectronics to biomedicine to plant science." The combination of silicon and graphene can be used as a photodetector, which senses light and produces current, with more bandwidth and a lower response time than current offerings. 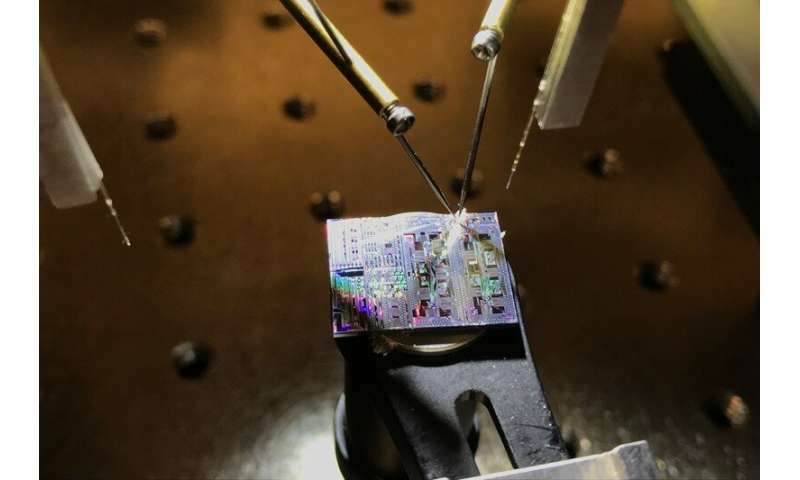 All this research could add up to cheaper, faster wireless devices in the future. "It can make the network stronger, better and cheaper," said postdoctoral associate and the first author of the npj 2-D Materials and Application article Tiantian Li. "That is a key point of photonics." Now the team is thinking about ways to expand the applications of this material. "We're looking at more components based on a similar structure," said Gu.